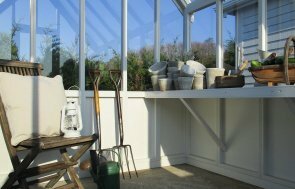 One of our both classical and contemporary Greenhouses was recently installed at a customer’s address in Walton-on-Thames, Surrey, to be the perfect place for prized potting plants and home-grown vegetables. 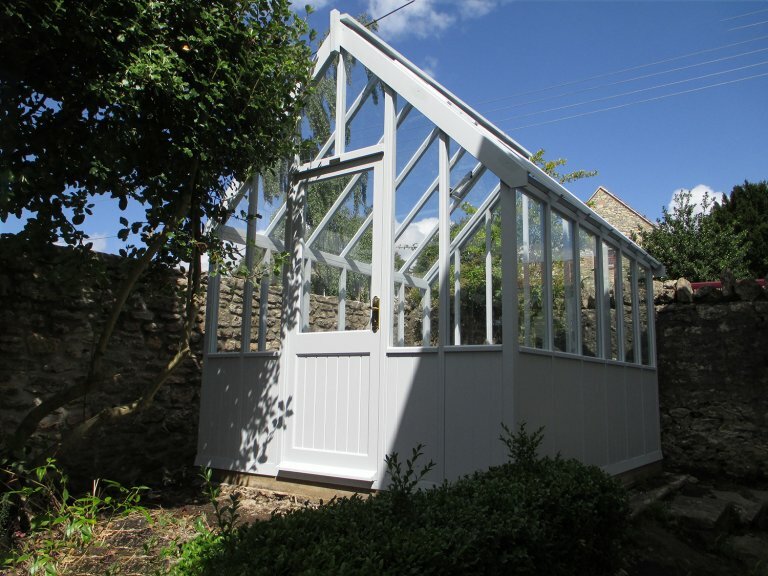 Designed and built by hand at our Norfolk factory, the Greenhouse is available in various sizes with this one being our larger size of 2.4 x 3.0m. Benefitting from FSC® certified timber and 4mm toughened safety glass, all of our Greenhouses feature two automatic-opening roof vents that are temperature controlled, meaning that any plants inside the Greenhouse will be kept at pleasant temperatures. The exterior is painted in our paint shade of Saltwater, which was selected by the customer from our vast range of paint options. Internally, the customer opted to add a slatted workbench which increases storage and shelving options. If you would like to browse our range of Greenhouses for yourself, you can take a look online or get in touch with us to speak to an expert about your ideal requirements. Alternatively, we recommend that you pay us a visit at your nearest show site, where it is possible to browse up to 25 different display buildings and speak to a friendly advisor. We do have a centre based in Surrey at the Hillier Garden Centre, but you can locate your nearest one here.